Flexible, affordable options get you closer to your goals. Earn travel rewards faster with 3X points on gas, 2X groceries, and 1X on other purchases, all unlimited. When's the last time you checked your credit report? Errors on your credit report can lower your credit score - and you may not even be aware of them. The FTC says one in four people found an error on their credit report that could affect their credit score. The LunchTracker app from Visa helps you mange your spending and start saving money. Making a budget is now made easier with the LunchTracker app from Visa. 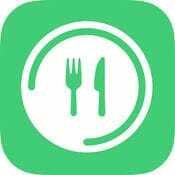 Regardless if you pack, eat at home or out at a restaurant, this app allows you to track how much you are spending when you have lunch. Because regardless of how you enjoy your lunch, these charges all add up. Keeping track of this daily expense can help you set spending goals and start saving. Coastal has upgraded our online banking and mobile banking platforms to a brand new unified system, which we are calling Digital Banking. Access your Coastal Federal Credit Union accounts, quickly and conveniently, wherever you are with COASTAL Digital Banking! COASTAL Digital Banking allows you to check balances, make transfers, pay bills, and more! All loans are subject to approval. Lowest rates based on Coastal Federal Credit Union's Qualified Loan Program. Other rates and terms vailable. All rates and terms are subject to change without notice. 1. APR = Annual Percentage Rate. 2. Your fixed rate is determined by your credit qualifications, amount financed, and loan terms. For a $5,000 loan for a term of 5 years with a 7.75% APR, the monthly payment is approximately $100.78. 3. Your rate may vary and is determined by your credit qualifications, amount financed, collateral and loan terms. 4. The annual percentage rate may vary after the account is opened. 5. Certificate terms cannot exceed maturity date.